One of the most essential parts of starting any new business is organizing your budget. 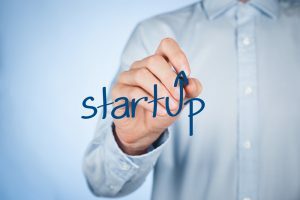 It’s easy to think the budget should take a backseat to other essential practices when launching your startup. There’s already so much on your plate, and it’s overwhelming to worry about money on top of that. However, failing to organize your budget will only lead to disaster down the line. Everyone knows a startling number of businesses fail in their first year. Did you know that one of the leading causes of business failure is having a cash flow problem? As a startup owner, you simply can’t afford to ignore your budget. Here’s how to organize your budget when launching a startup. Local Costs – These are the costs of running any facilities like signage, lease costs, or utilities. Fixed Assets – In the business world, these are sometimes called capital expenditures. These are assets you need to start doing business like computers, equipment, and furniture. Materials – Materials include office supplies, marketing, or any other initial supply you’ll need when you first launch. Additional Costs – Finally, any outside fees like licenses, insurance, or attorney fees. You’ll need to begin your budget with all of these “Day One” costs at the forefront. From there, you can move on to monthly and fixed expenses. Your “Day One” budget will help you find success in your small business. You won’t always know for sure just how much money you’ll need every month, but you can still estimate. You’ll have both fixed expenses and variable expenses. Fixed expenses don’t change from month to month while variable expenses might depend on different factors like your number of customers. Start with fixed costs like rent, loan payments, employee pay, and any ongoing marketing efforts. From there, add in variable expenses like sales commissions, raw materials, and more. It’s okay if your numbers aren’t perfect. It’s best to always overestimate rather than underestimate. Once again, you’ll need to do some estimation. This is the most challenging part for any startup owner, but it’s especially difficult if you’re new to the business world. To make your monthly sales estimates easier, break it down into three projections: best case scenario, worst case scenario, and likely scenario. As you can imagine, your likely scenario will rest somewhere in the middle. From here, you’ll need to create a cash flow statement. This is when you combine your total costs with your total sales. You’ll be left with an idea of just how much your cash balance will be each month. 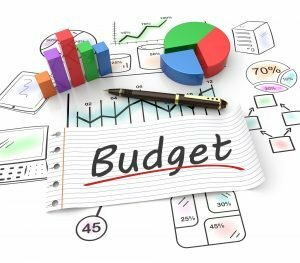 It might be smart to talk to an expert about getting a professional budgeting advice if you’re struggling at this stage. As you can see, it’s not complicated to get started on your own business budget as a startup. It’s essential that you take the time to go through each of these steps. Once you launch, you’ll be glad you did. Money is important in any business. Without secure cash flow, your startup is in danger of becoming yet another failed statistic. Take these organization steps above seriously to successfully launch your startup.